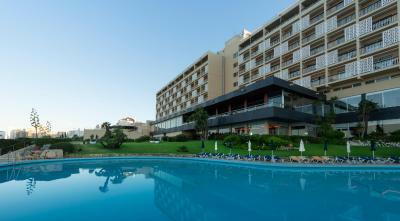 Lock in a great price for Algarve Casino Hotel – rated 8.3 by recent guests! 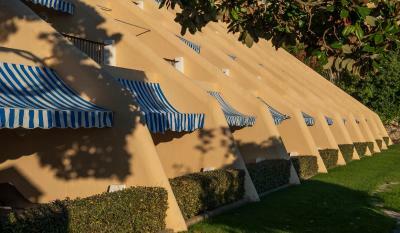 The heated pool and private walk from hotel to the beach. 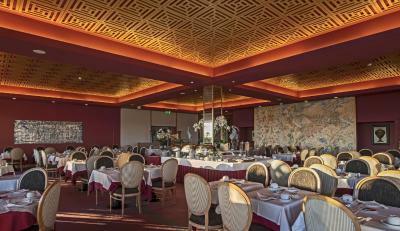 The Algarve Casino, is clean. 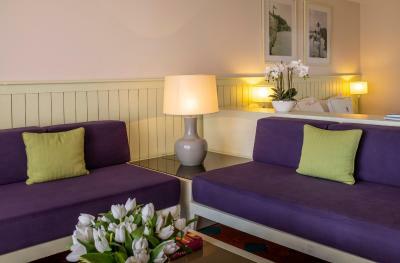 The staff I found were not very friendly- the man I saw on arrival was less than impressed that we had arrived earlier than expected and did not try to give us a room - as I had requested months in advance that we would be there early. The swimming pool is salt water, which is ok but I would have rather it not to be. 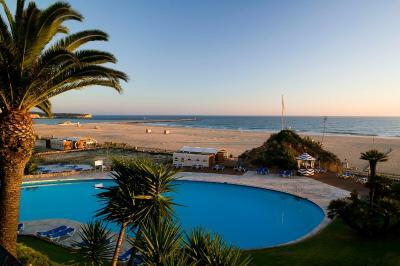 I would not rush back the Algarve Casino Hotel. We took a room with sea view and it was really amazing. Totally worths the money. Sleeping every night while hearing the waves sound is so relaxing. The beaches there were clean and I loved chilling there the whole day. I also liked the swimming pool. 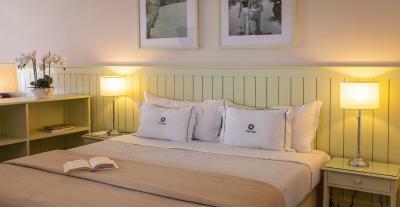 The bed and the pillows were very comfortable and the room and the bathroom were cleaned regularly. The area around the hotel is so alive and full of restaurants and activities. You will never get bored there day or night. Very nice hotel. Clean great facilities and very very relaxing. Pool brilliant. Beach very close. Hotel is very clean & the breakfast in the morning was really good and they even service champagne during breakfast. 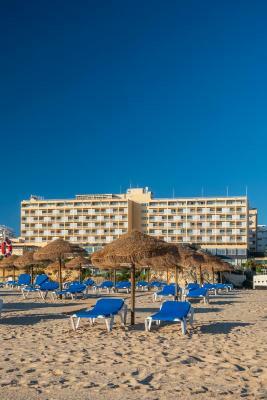 The hotel is beautiful and the best location in the area and right on the beach. The bell boy was extremely nice & friendly. He took care of our luggage, our car he parked for us & when we needed it he brought it to us within 5 mins. We left a bag behind in the car and he informed us about it & brought it to us. No one else would have done that. Hands down I'd stay at this hotel again! Service was. Excellent at all levels. Pool area was very nice. View and locations are hard to beat. 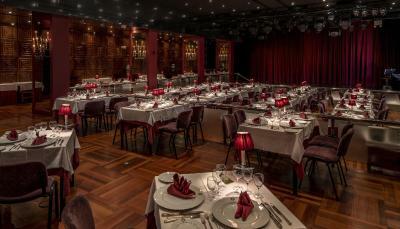 o café da manha estava excelente , excelente simpatia e profissionalismo dos empregados, quarto acima do normal , excelente limpeza, muito prestáveis na recessão, no check-in e no check- out . Fantastic location directly on the beach. Great pool. Walkable part of town. 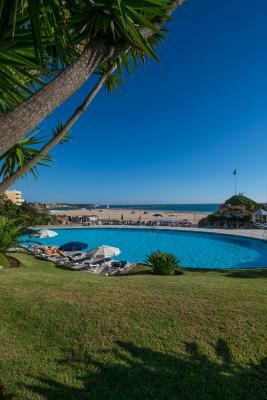 Algarve Casino Hotel This rating is a reflection of how the property compares to the industry standard when it comes to price, facilities and services available. It's based on a self-evaluation by the property. Use this rating to help choose your stay! 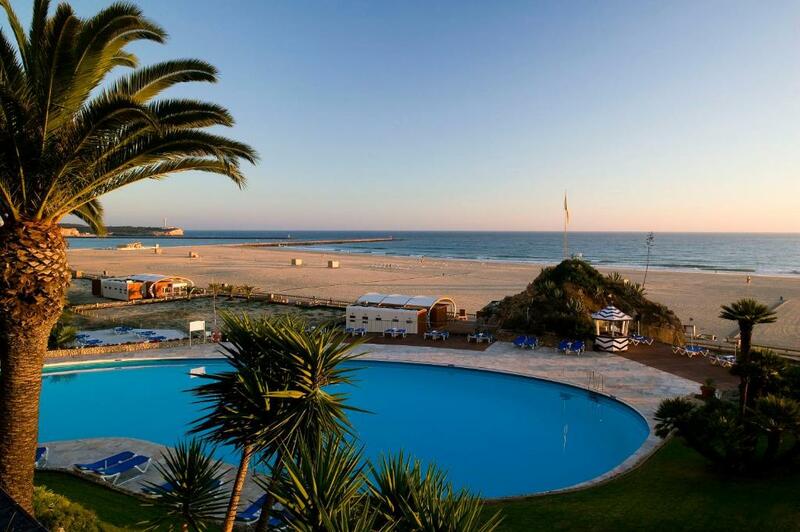 One of our top picks in Portimão.This 5-star hotel in Portimão offers free Wi-Fi, and picturesque views of the Atlantic Ocean and golden sands of Praia da Rocha beach. 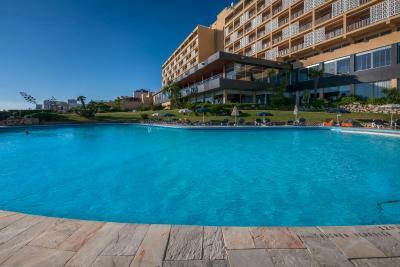 It is a 5-minute walk from Portimão Marina. 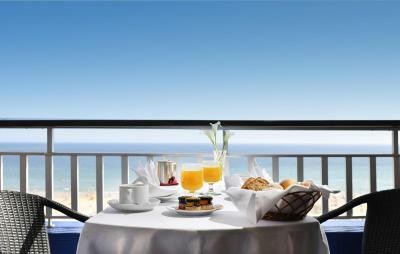 Many of Algarve Casino Hotel’s rooms lead onto furnished balconies and have spacious living rooms. Each has cable TV and a mini-bar. 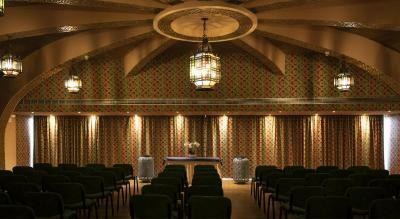 Guests can keep fit at the fitness center and, then, unwind in the sauna or Turkish bath. 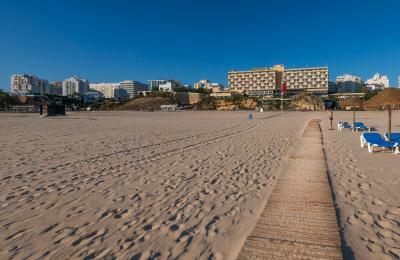 During the summer, water activities can be enjoyed at the beach, steps away from Hotel Algarve Casino. 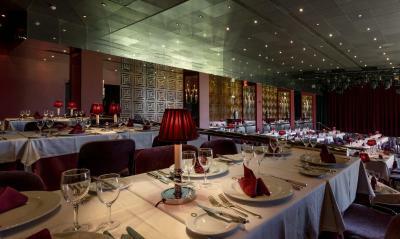 The elegant Amendoeiras Restaurant serves regional and international dishes made using fresh, local products. Zodíaco Snack Bar offers snacks and light meals by the pool. 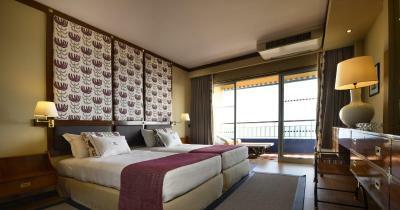 Silves and Lagos are both less than 19 mi from Algarve Casino Hotel. Alto Golf Course is 1.9 mi away from the property. 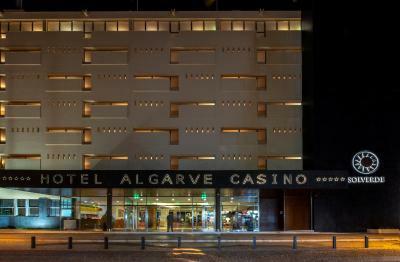 When would you like to stay at Algarve Casino Hotel? 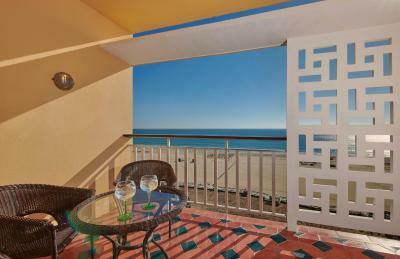 This room has free Wi-Fi access, a balcony and views of Praia da Rocha. 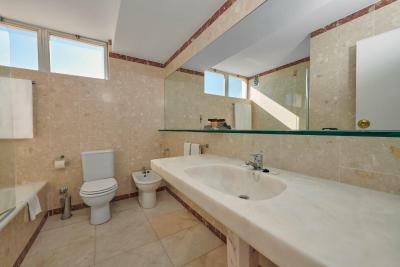 It also has a private bathroom with bathrobes and free amenities. 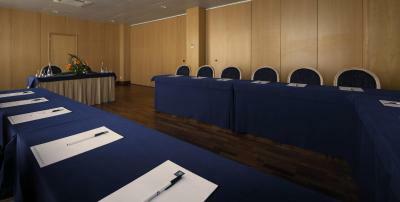 Please note that the room price is based on 2 adults and 1 child (up to 12 years). 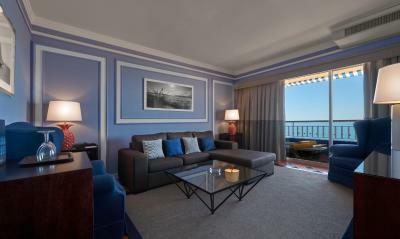 Featuring a balcony with views of Praia da Rocha, this suite includes a living room with TV, and free Wi-Fi. 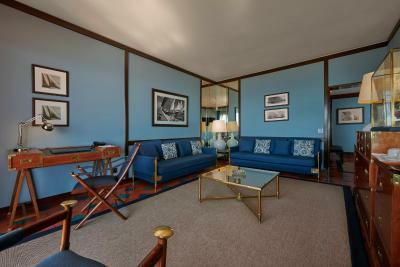 It also has 2 private bathrooms with bathrobes and free amenities. Please note that the room price is based on 2 guests. Maximum occupancy is 3 (see Hotel Policies). 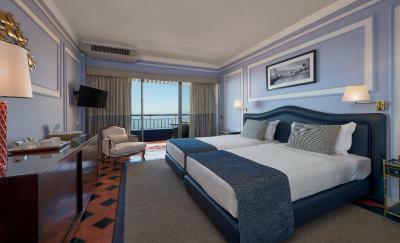 This spacious room has ocean views, a TV and free Wi-Fi. It also has a private bathroom with bathrobes and free amenities. 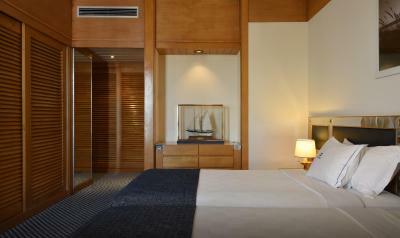 Please note this room can accommodate 2 adults and 2 children (up to the age of 12). An extra bed is not available for this room. 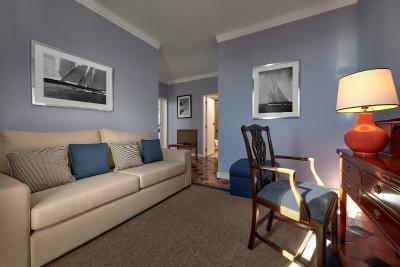 Featuring free Wi-Fi, this suite includes a living room with a TV. It also has 2 private bathrooms with bathrobes and free amenities. 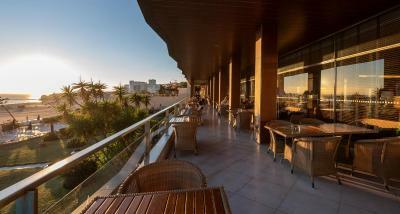 Featuring a balcony with views of Praia da Rocha, this air-conditioned room offers free WiFi. 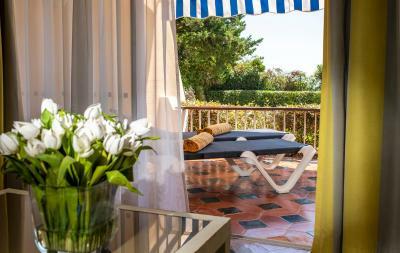 The private bathroom includes a bath or a shower, a bidet, free toiletries, a bathrobes and a hairdryer. 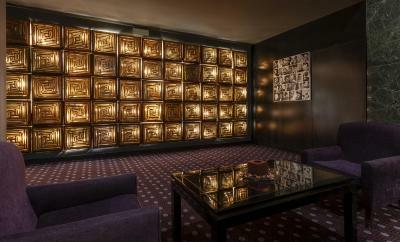 House Rules Algarve Casino Hotel takes special requests – add in the next step! 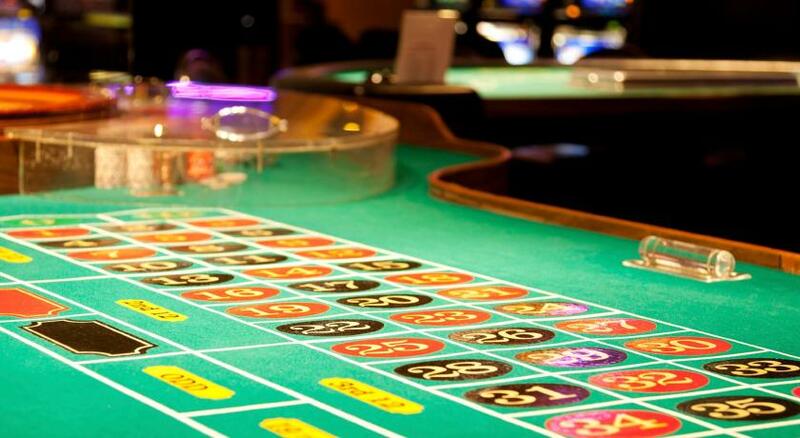 Algarve Casino Hotel accepts these cards and reserves the right to temporarily hold an amount prior to arrival. Please note that only dogs are accepted and they must have up to 10 kg. 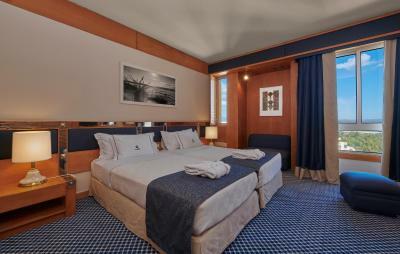 They can only be accommodated in the sea view rooms and are subject to an extra cost. Dogs are not allowed in the public areas (restaurants, bars, swimming pool). Reservation is not possible and parking spots are subject to availability. Please note that the dinner supplement is made of a set menu and does not include beverages. Please note that the name of the guest must be the same of the credit card used to make the reservation. Pets are not allowed in other rooms. 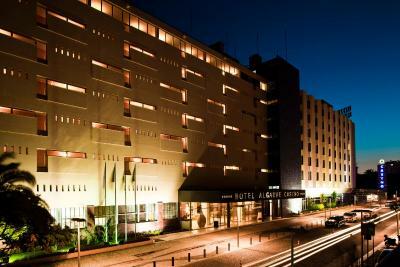 Please inform Algarve Casino Hotel of your expected arrival time in advance. You can use the Special Requests box when booking, or contact the property directly using the contact details in your confirmation. The location is superb! 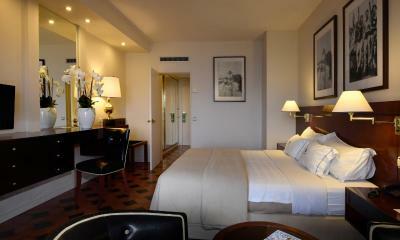 And the hotel has a very nice vibe, with a touch of mid-century glam. The parking lot was free and good breakfast, included in the price of the hotel room. Clean, spacious bathroom. We got a free upgrade to a room with sea view whick was thoroughly nice! Would definitely recommend. breakfast had a great variety with an amazing view. I also really liked the pool and the location of the hotel. 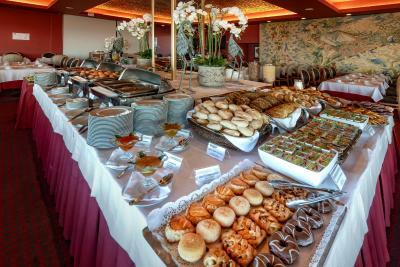 Staff are very friendly and even offered free breakfast as room service. highly recommended. Breakfast could get a makeover. It's not bad but it's been exactly the same for years. Seaview is excellent! Distance to the beach doesn't get any shorter than this! Everything was excellent. Staff could not have been more friendly and helpful. Facilities were very good. It was the far end of the strip,So not much happening. 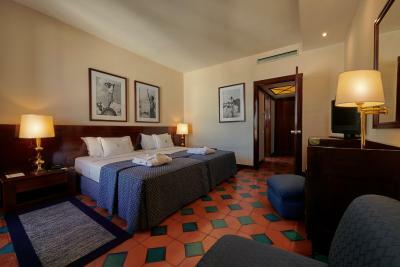 Very Clean and Very Spacious Rooms. Beds very hard!!!!! Breakfast staff not so friendly. Location. Front desk staff excellent. The hotel was very run down. Needs complete refurbishment. We had no choice, as we had a 6kg dog, they will only accept him in a superior sea view room which was more expensive but one would expect it to be special. However, all rooms look alike, no sun on balcony, feels like a prison. Besides charging for the upgrade they then notified (after booking was made) that the tiny dog had to pay 20 euros per night. But they don't even provide water for him, or a bowl. We were very disappointed with the tatty hotel & the fact that they wouldn't accept cancellation after I was horrified with the dog charge. The charge should be made clear & accepted before they take the booking. But it is a huge amount to charge for a tiny dog. This hotel has a warmth that is generated by the amazing service. It is professional and friendly. The cleanness of the hotel is very clear to see everywhere. It is a dated property but that is part of the charm. 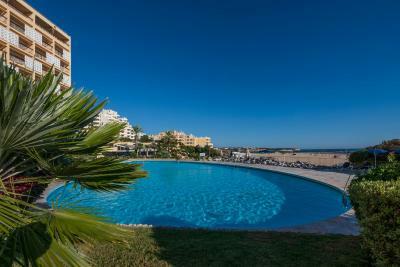 The property is well maintained and the pool and access to the beach are such a delight. The breakfast also is brilliant way to start the day. The breakfast was wonderful. A full buffet so lots to chose from. 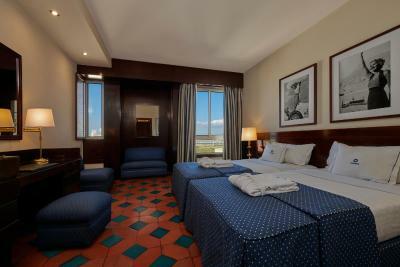 The rooms were clean and a good size and all face the beach. Breakfast: simple, not expected from a 5 star hotel. The lady in the breakfast area asked me to take off my hat!!!!!!!!!! 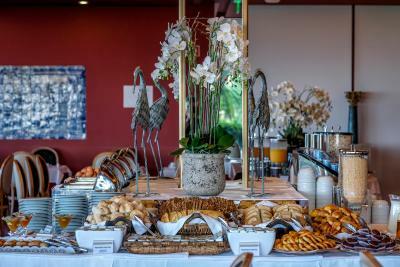 The staff were excellent, from the reception staff to the staff at breakfast. They were very helpful and attentive. The location was excellent with great views of the beach. 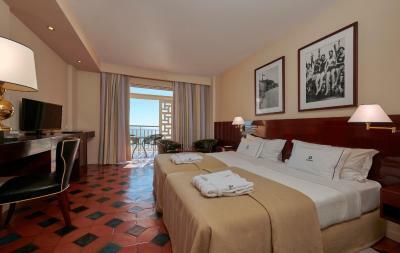 The rooms were spacious and the balconies large and private. The mini bar was reasonably priced. The bar area is nice with a great view from the terrace. Would have been nice to have tea and coffee making facility in room. Also was surprised that they didn’t have their own little on site shop selling handy items? Breakfast finished a little early if you wanted to go for it, but we opted to have it in our room...continental style at no extra cost, which suited us anyway. 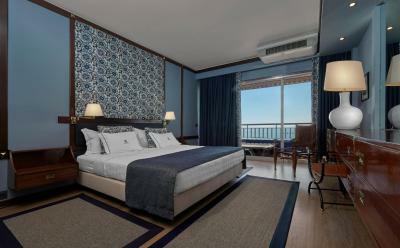 Room was very comfortable with spectacular sea views! 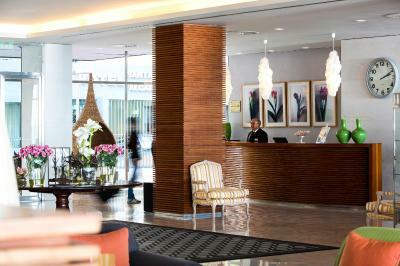 Staff were all very accommodating and helpful. Just wish we could have stayed longer!